Attempts to falsify and rewrite the history of World War II are a dangerous path, a top Russian diplomat has warned, stressing that it is important to remember that the victory belongs to all the allies who fought Nazism. As the world is celebrating the 70th anniversary of the end of the bloodiest conflict in human history this year, radical elements in some countries are trying to bring the ideologies that were fought against back to life, Russian Foreign Ministry’s representative for Human Rights and the Rule of Law, Konstantin Dolgov, told RT in an interview on Wednesday. “Unfortunately the Neo-Nazis feel more than comfortable in Ukraine and this fact is extremely dangerous as it destabilizes the situation in the country,” Dolgov said. Dolgov noted that certain forces in the West are currently attempting to diminish Russia’s role in defeating Nazi Germany in WWII, falsifying facts and heroizing the Nazis and their accomplices. “The reasons behind this trend are simply political. It is a systematic, regular and a very dangerous path that many have chosen - to falsify the history of WWII, to diminish the conclusive role of the Soviet Union. It is very important to remember that it was a shared victory, we were all on the same side back then,” said the official adding that it must not be forgotten that the USSR paid the highest price in the war, both in human lives and material costs. 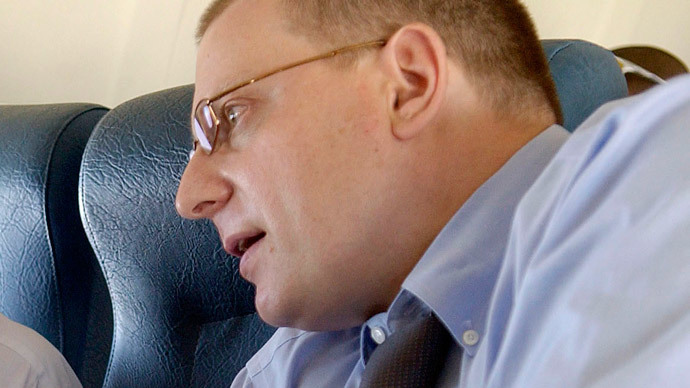 Dolgov’s statements echo the words of President Vladimir Putin, who has repeatedly denounced attempts to ‘rewrite’ WWII history and noted that the forces behind such attempts seek to use historical speculation in geopolitical games and set entire countries and peoples against each other. In January, Putin said in a public speech that the people attempting to rewrite history and hide the crimes of Nazism are often attempting to deflect attention from their nations’ collaboration with Hitler. “Direct attempts to silence history, to distort and rewrite history are inadmissible and immoral. Behind these attempts often lies the desire to hide one’s own disgrace, the disgrace of cowardice, hypocrisy and treachery, the intent to justify the direct or indirect collaboration with Nazism,” the Russian president stated at the Jewish Museum and Tolerance Center in Moscow at an event dedicated to the 70th anniversary of the liberation of Auschwitz. Ahead of the 70th anniversary of the end of the World War II, Russia’s Foreign Ministry has published a report: “Neo-Nazism – a dangerous threat to human rights, democracy and the rule of law.” Dolgov stressed that one of the aims of the report is to raise awareness of the rise of neo-Nazi ideology and call for other countries to find ways to battle the trend. “This report is just a milestone in the overall work that is being done, and not only by Russia but by other bodies including human rights groups and other public organizations. We hope that the report will be an additional factor in changing people’s perception of what’s going on,” he concluded.